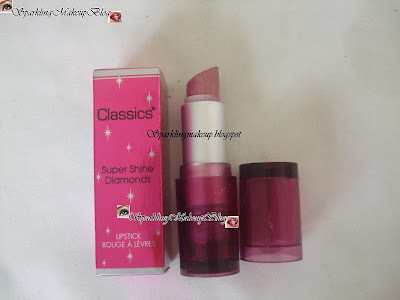 This is the only Diamond shine lipstick in my collection and I simply love it all in all, but before I share my experience with this Lipstick let's have a look at the beauty itself and the swatches too: HAVE A LOOK!!! 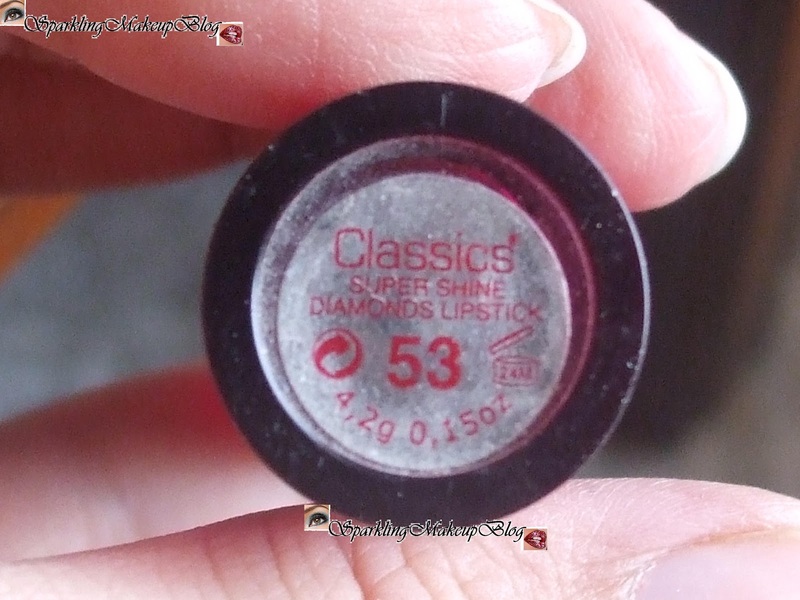 I bought this shade in 2009 for the first time when I was shopping cosmetics for my wedding, therefor I chose this diamond shiny lipstick, but nevertheless I knew that I will fall in LOVE with this shade and lipstick and will buy it every time it finishes, So this is the picture of the fourth Lipstick in a row in my collection since 2009, and this one too is about to hit the bottom. I remember in 2008-09 there was a craze going on for Diamond lipsticks and diamond lip glosses, any one remember Maybelline Diamond lip glosses? 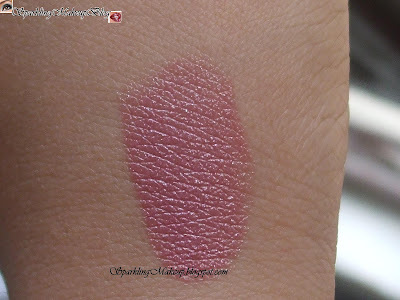 Well those were far too expensive and me myself not being a gloss lover found the swatch of this lipstick very satisfactory, and also fulfilling my demand of a shimmery shiny PINK, as in matte I had my Golden Rose 103, read the review HERE. 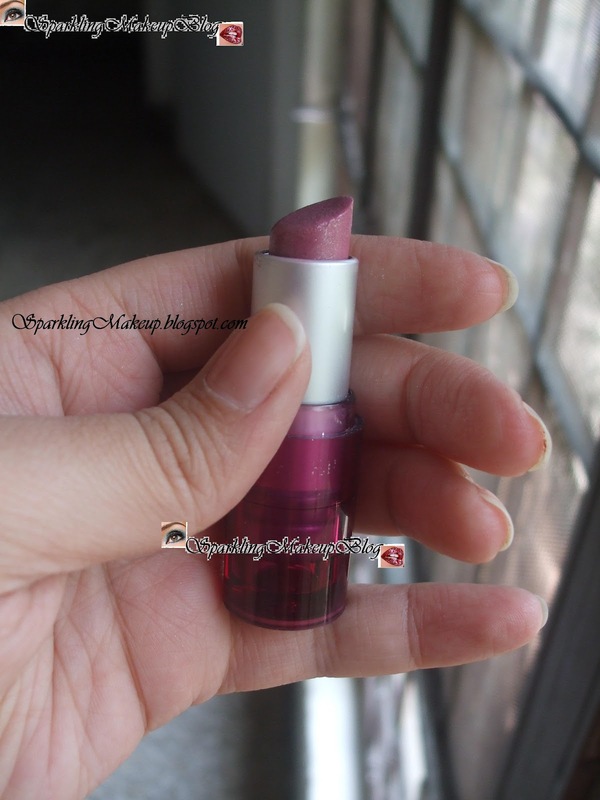 I bought it for around 450-500 Pkr but the results are definitely far more better than the price, TRUST ME. Now about the shade it self: It is a good shimmery pink, mauve-ish undertones, with very fine shimmery specs, they are so fine that you can see them shining but can not feel them on your lips, That's Great! Well the specs are really micro and if they transfer to your face esp the area around lips, after meals or a lot of chatting then they do not look ODD, it seems as if you have some shimmer ON. I personally do not have a problem with that , if you have then you can dab/pat the area with your face powder. 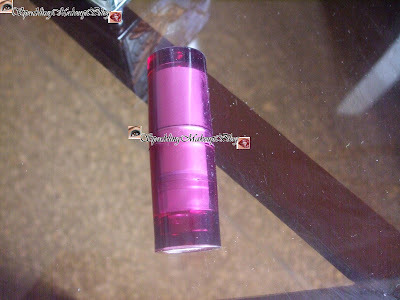 The Lipstick is smooth and shiny in texture. Good pigmentation, as the true desired colour is delivered on to the lips in one or maximum two applications, I only apply once. 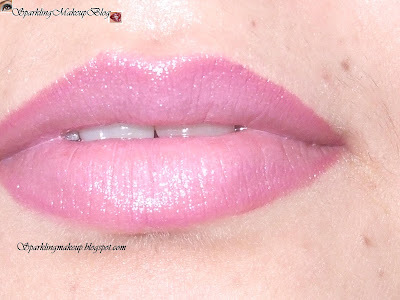 The texture is so shiny that you won't need a gloss, for people like me it's a great alter for a gloss with strong pigmentation, as I do not like glosses as they do not transfer colour but just a lot of glitter, most of them are like this (Sorry gloss lovers). The staying power is good on a chatter-box like me it stays more than 2 hrs, minimum. Note: In the Lip swatch I used a soft mauve-ish shade lip liner only on the outlines,didn't blend it in the shade. 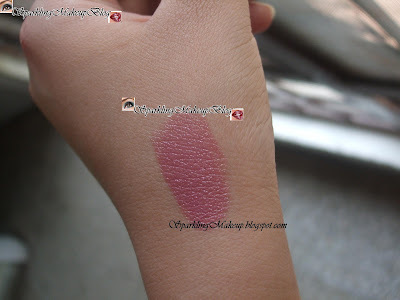 I love this shade so much that I would have given it a total 5 but as the shimmer transfers on to the skin I am cutting half a mark, half heartedly. 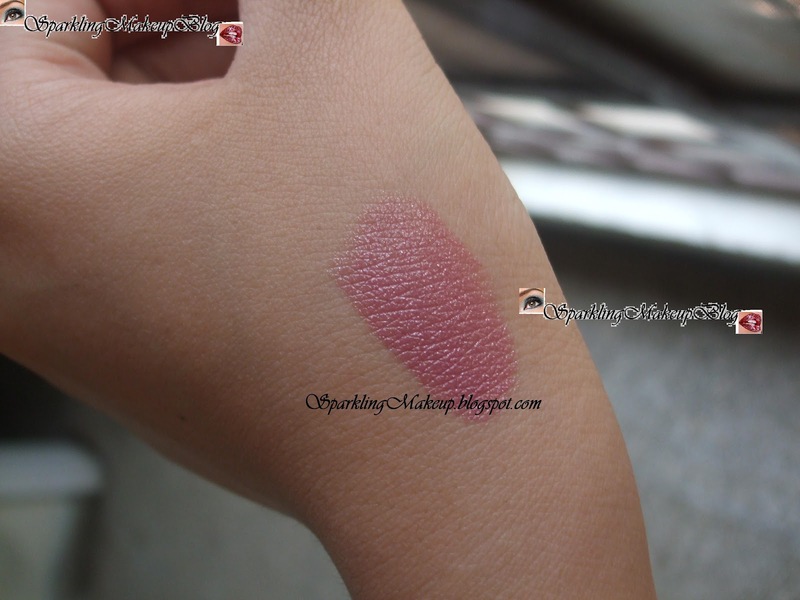 I am sure You will have this shade added into your wishlist, esp my Lippie Buddy will do so. 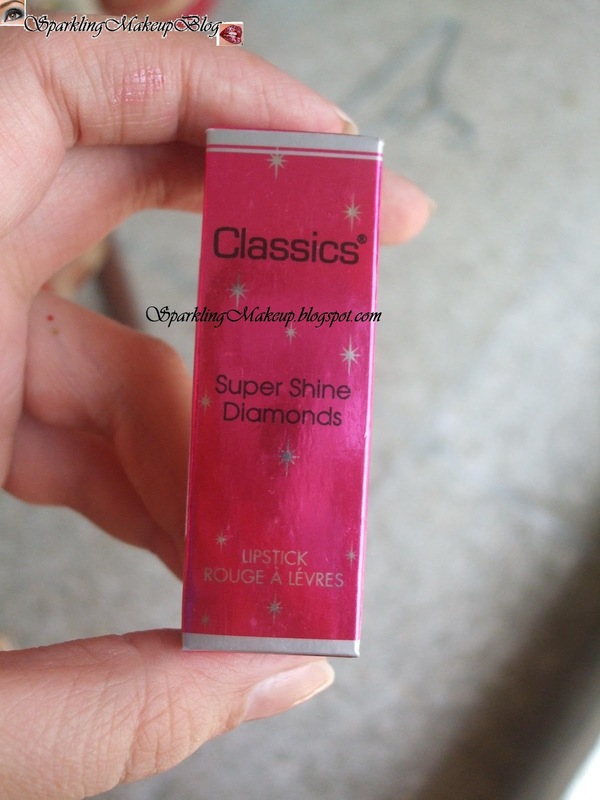 Do you like Diamond shine lipsticks or you just prefer glosses? ohh it is really such an amazing color i am so loving this.... yaar... and it is look FAB on your lips..
wahooo i like your lip stick colour and it looks awesome on your lips and thanks for sharing your experience with us it will help us too in future.